You don’t expect smiles and jokes from a man who lives in a village that’s facing extinction due to ecocide (1). But David Dene (66), a UK-born globetrotter, is beaming with energy and happiness. 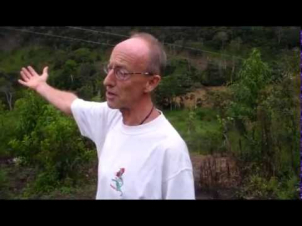 The story he brings us is the story of Rio de Aguas, the eco-village in Almeria (Spain) where he settled in the late nineties. It’s a remarkable story about extraction versus renewal. About a real-life David vs Goliath battle, where Goliath stands for a much bigger and destructive enemy. 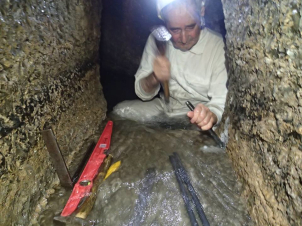 People have been living in the Rio de Aguas area since Neolithic times – despite the semi-arid climate and the fragile ecosystem. This is one of the last wild places in Spain. The landscape is dotted with caves and cliffs. The desert of Tabernas, where Westerns were shot, is just seven kilometres away. The difference between Rio de Aguas and Tabernas is that Rio de Aguas is fed by a spring from a very ancient aquifer, which makes a huge difference in ecosystem. The Natural Park around Rio de Aguas has wild goats, wild cats and turtles, and many types of cactuses, fig trees and flowers. Meanwhile, other organisations are doing their bit in the resistance. 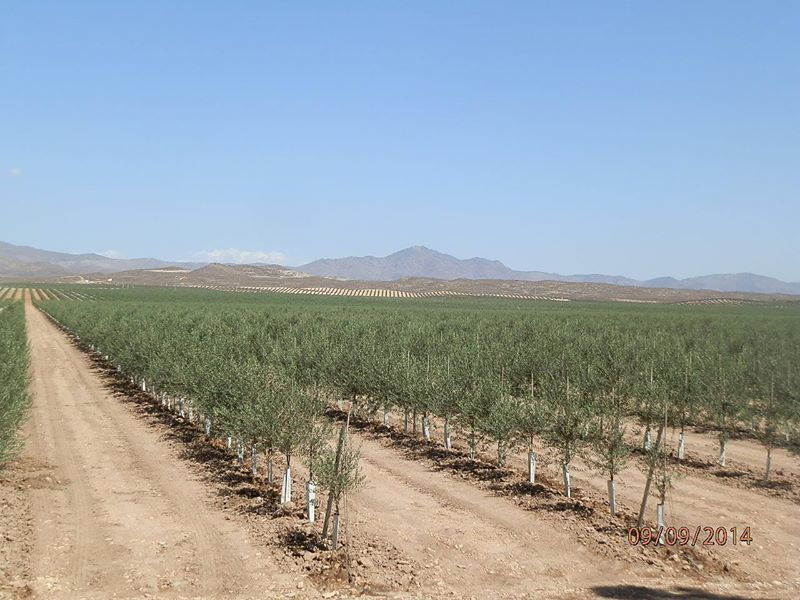 The Grupo Ecologista Mediterráneo (GEM or Mediterranean Green Group) opened a criminal investigation into a plantation of 350 hectares irrigating 600,000 olive trees without apparent irrigation permission and without an Environmental Impact Assesment (Gespater S.L). This represents only one tenth of the area under olive plantations, but it’s an important diversification in the struggle as it opens a key battleground. It seems that globetrotting David has moved once more to settle down in this most energetic and promising place, or rather sphere, which Naomi Klein eloquently describes as Blockadia: the land of people connected to place but also globally united in their struggle for environmental justice. (1) Eco-cide derives from the Greek “oikos” meaning “house” or “home” and the Latin “caedere” meaning “strike down, demolish, kill”. It literally translates to killing our home. Ecocide is the destruction of our natural environment. Defined as the extensive damage to, destruction of or loss of ecosystems of a given territory it covers all major environmental disasters. More information on ending ecocide is here. “José Isidro Tendetza Antun was our companion, we bought him his ticket to Lima. This was a great man who devoted and gave his life in the protection of his territory, his land, and for the lives of his people. This man has become a martyr for the land of the Ecuatorian Amazon, and for the Shuar Nation. We honor, remember and hold his inspiring words in our hearts. May our warrior friend rest in peace.” On the facebook page of Ecocide El Rio de Aguas Spain there’s also a tribute video. Excelente campaña. Esto se repite por todo el mundo.